The Safco Diesel Stool Trolley is a sturdy mobile chair that features a short trolley design which makes it work well for shop use. 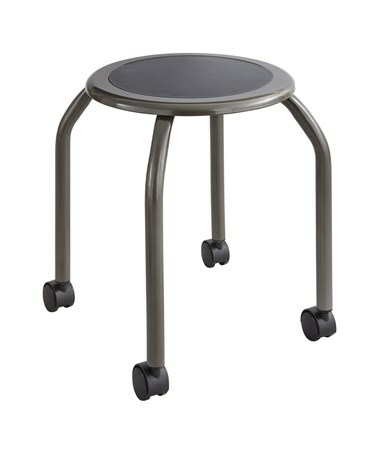 Plastic hooded casters that are attached to the four legs and make the stool smoothly roll over any surface. 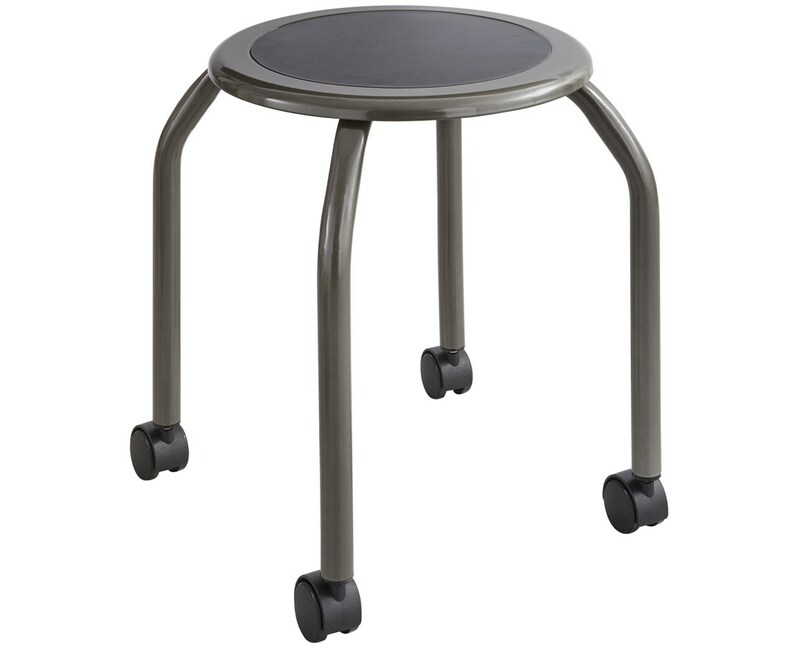 This nine-pound stool is made of steel with a pewter finish and a polyurethane seat. It measures 17 ½-inches in diameter and 20-inch in height. It is also GREENGUARD certified for low chemical emissions.